If Lorelei were to move about on land, she'd have to crawl with her arms or slither uncertainly on her tail. Not that anyone's seen her go from place to place. 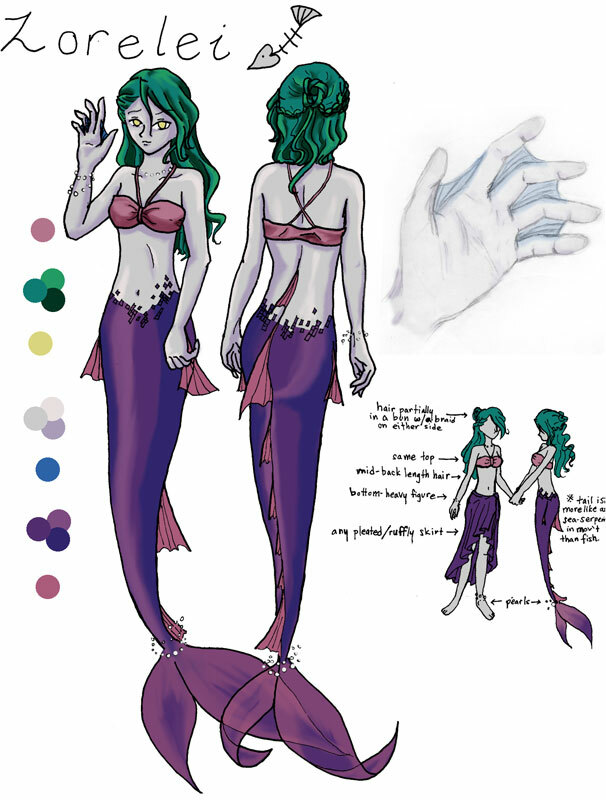 She'll randomly appear in places that hold a large enough body of water, like fountains and the circus. She works at the Reinhardt Circus you know. Lorelei has limited speech and sings only sounds like songbird or a whale-song. She understands the language just fine (at least she seems to), but tends to not understand the real meaning behind words like a socially-awkward or a sheltered child. If she has anything to say, she'll usually shortcuts her words and ideas to the bare minimum. If possible, she’ll resort to gesturing and making faces to communicate.